Bentley Team ABT has made tweaks to its driver lineup ahead of this weekend’s race at the Red Bull Ring, as the second half of the 2016 GT Masters season gets underway. 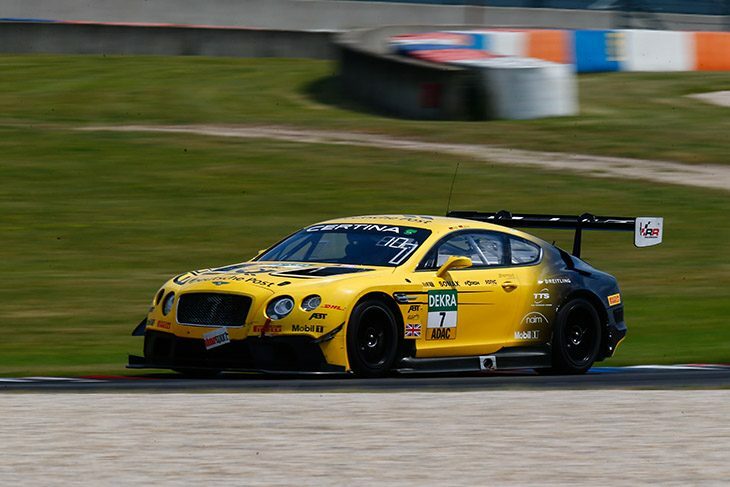 In the #7 Continental, Daniel Abt will share with Jordan Pepper, in the #8 will be Christer Jöns and Fabian Hamprecht and in the #9 Andreas Weishaupt and Marco Holzer are paired up. The main change being Holzer joining the team in place of factory driver Guy Smith. Prior to the changes, Abt and Jöns shared the #7, while Hamprecht drove the #8 with Smith and Weishaupt and Pepper were teamed up in the #9. The ABT team currently sits 10th in the Teams Championship standings, while its best driver pairing is Jöns and Abt who sit 24th in the Drivers Championship race.